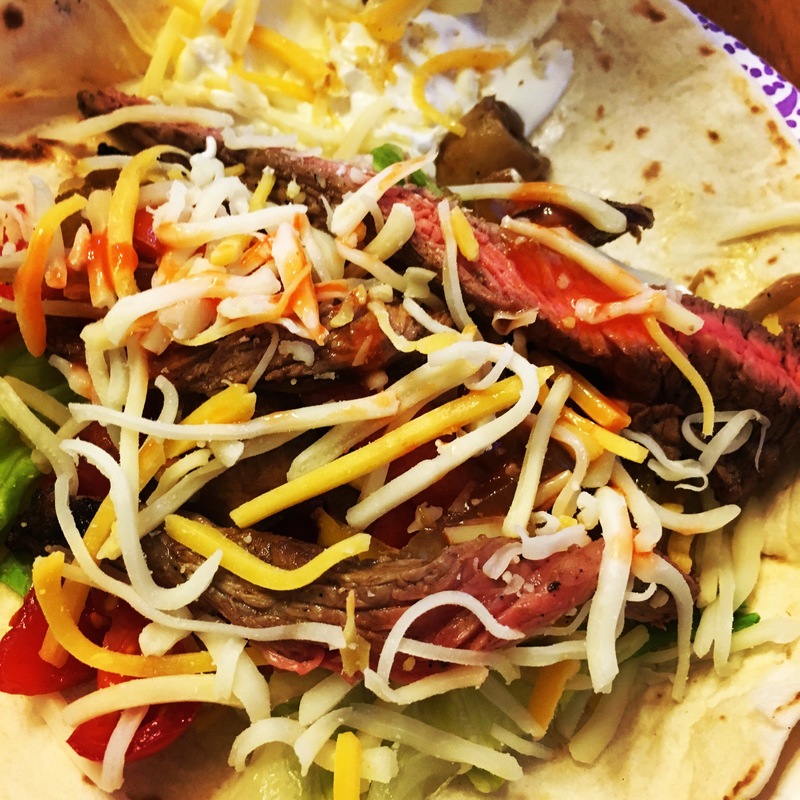 Yesterday I went to the store and spied a pretty flank steak and immediately had a hankering for fajitas! I had the butcher cut it in to strips. I added about a tablespoon of cumin, salt, pepper, and a couple of teaspoons of chili powder. I rubbed it all over the meat with a little olive oil, then cooked them up in a skillet. Everyone added their meat to a hot tortilla and added their favorite fixings!